[T]his new construction 3D printer is immensely flexible in use. Thanks to its replaceable printhead (based on Desamanera’s D-Shape method), it enables users to 3D print numerous building materials, including stone and concrete. Its designers see no reason why steel or isolation materials shouldn’t be added to that list in the future either. 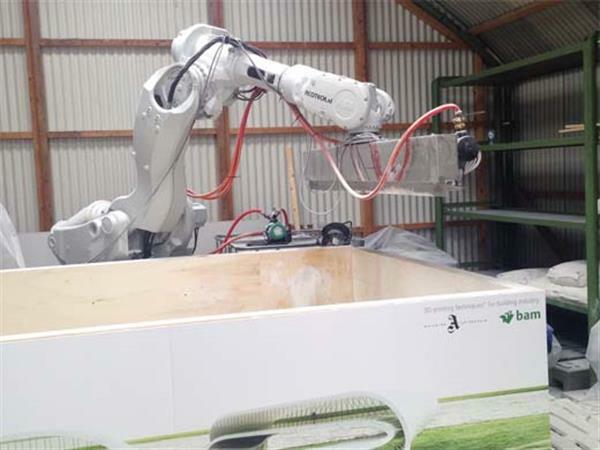 And thanks to a partnership with Eindhoven-based AcoTech, the developers are looking into mounting the 3D BUILDER onto tank threads to enable it to autonomously find its way around construction sites. AT&T will provide the winning city access to up to $1 million in hardware, products or services to support the development and deployment of smart city solutions in their city, the announcement said. And even for cities that do not win the competition, the company “will work with them on strategies to help them move their visions forward,” it said…AT&T has pledged to equip the winner with connectivity services – cellular, Wi-Fi and wireline – plus other services such as security consulting and big data analytics for traffic modeling and forecasting. A number of recent surveys compared CCTV inspection to Electro Scan techniques, and one found that the latter method detected ten times as many leaks as the former. Another survey found that the majority of CCTV inspections rated pipes as ”leak free,” or having no evidence of infiltration, while Electro Scan technology found major leaks in more than 80 percent of the pipes surveyed. [C]reating useful transit apps and websites is hard. Developers must gather data from every agency in the area, which is a bear when you consider 30 transit agencies serve the San Francisco Bay Area alone. They have to format it, and ensure it’s properly licensed. This is before the design and coding needed to actually build the app. To ease this pain, Transitland collects and standardizes public data sets for developers. After launching a year ago with data from New York and San Francisco, the service, offered by mapping platform Mapzen, expanded to more than 200 regions this week.